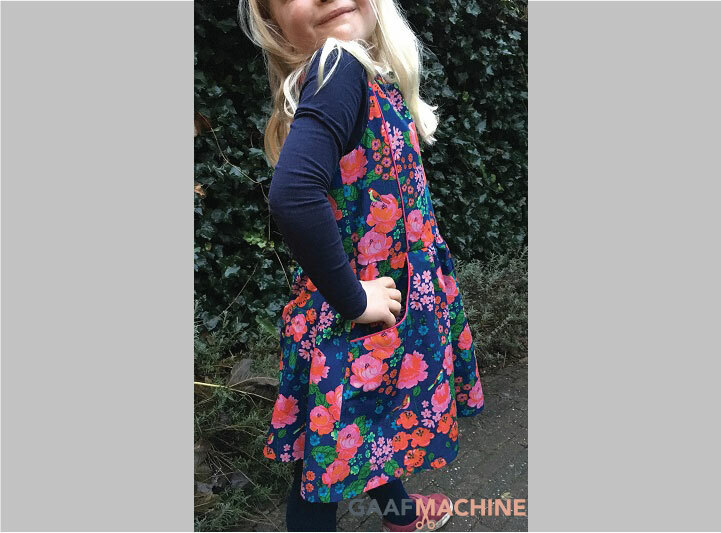 When a few weeks ago Suz from Sewpony had a tester call for her new pattern I was so tempted to join, but I knew I could not finish a tester version in time at that moment. So happy she decided to organize a Tic Tac Toe tour, now I did have time to join :)! Just like the Miss Polly dress from earlier this year, the tic tac toe dress is vintage inspired, versatile and feminine dress pattern that offers many options to create your own unique look. And yes, that’s what we love, create our own look! I knew I wanted to use a floral print for this dress, and I happened to have it in my stash, hooray. Actually, I bought this beautiful bright floral fabric (I believe it is from Stenzo) in the beginning of this year for another Miss Polly dress. But then there were so many other things to sew, it was still waiting there, in my stash. So, now I just had to change my plan and use it for the tic tac toe. And I am happy I did! It turned out so pretty and best of all, Isabella loves it! She was really proud wearing it to school last week :). 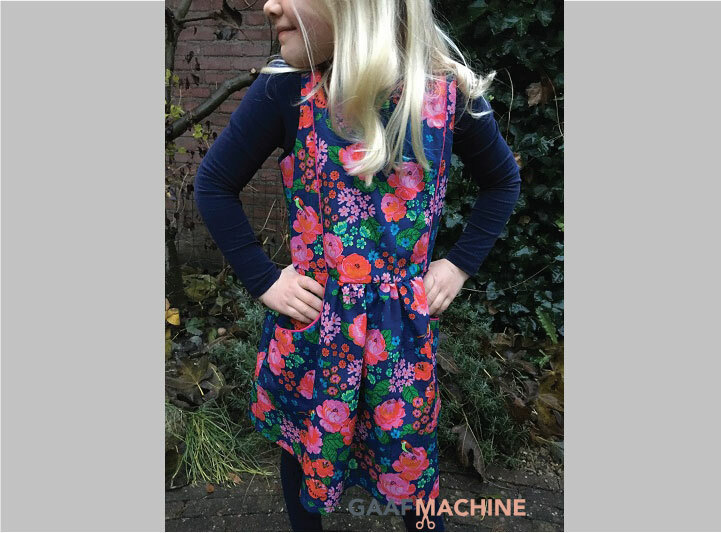 Since it is winter in The Netherlands, I decided to make the sleeveless version (Isabella doesn’t like long sleeved cotton dresses, now I know….). It’s perfect for layering. I know I will be making another one for next summer, as I think all the short sleeves options are so cute! And the piping, I just love it. Now a bit more about the dress. The dress features a separate bodice that can be pieced and piped or left plain. An optional half or full peter-pan collar or epaulettes with buttons can be added to the neckline. 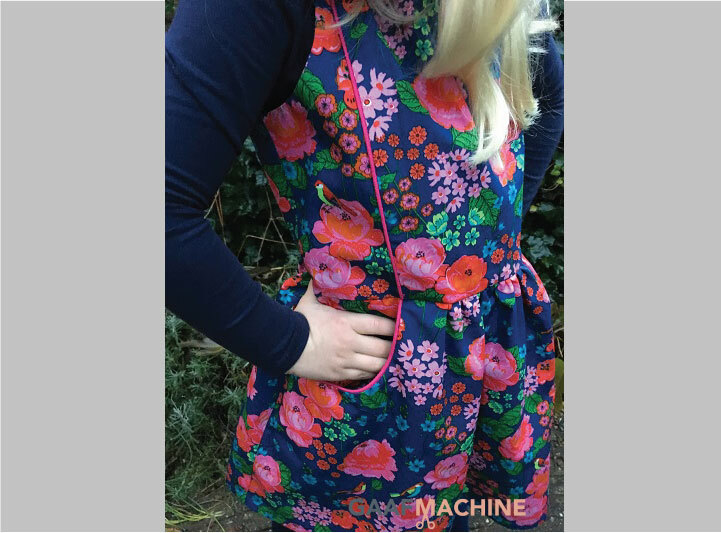 Sleeve options include: sleeveless, small rectangular sleeve, (larger) gathered rectangular sleeve, short puffed sleeve, three quarter or long sleeves – so the tic tac toe dress pattern can be used all year round, no matter where you live! The gathered skirt can be accented with piped pockets and paired with the pieced bodice to provide a striking front dress detail. For a simpler look, the skirt can be left plain. The dress can also be made with an optional tie that can be worn at the front or back. Would you like to sew up a tic tac toe dress? Head over to Sewpony and get yourself a copy! Remember, you can use the code TICTACTOE10 to receive 10% off the purchase price of all the patterns until next Friday. Apply at checkout. For the Dutch readers, the pattern is available in Dutch as well, how convenient! You can find it here. what a beauty!!!! both granddaughter and her wonderful dress. I Love your version Nelleke! Thank you !!! What a stunning version. That fabric is perfection for this dress. Love! 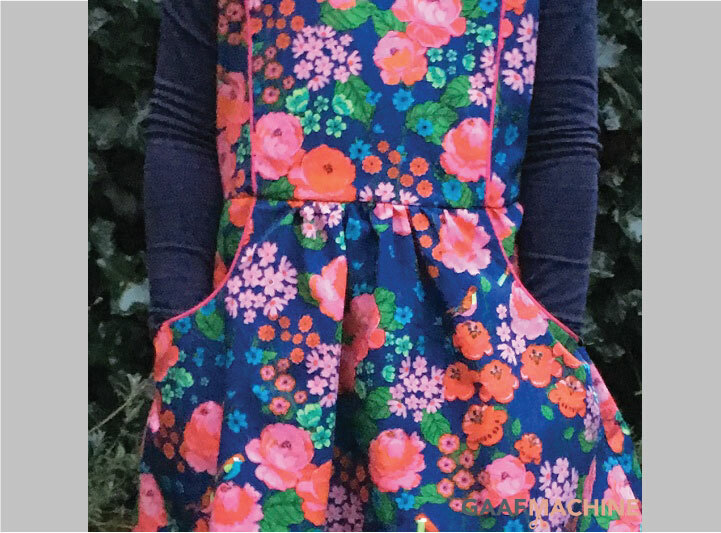 It looks amazing in this fabric, what stunning colours! OOoh this dress! I love your version. The fabric you chose is so pretty!! Love those florals! Such a gorgeous dress.